The Marina 3-in-1 breeding trap comes with all the accessories for an all-in-one, self-contained live-bearer breeding tank, live bearer trap, and a betta fish enclosure. 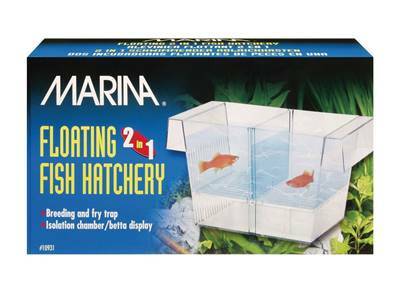 The Marina 3-in-1 can also be as a safe-house for wounded fish or to segregate aggressive fish. It is the perfect way to get your school of fish growing!